Christian and what do I trust to be true? 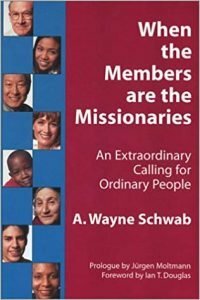 How did I learn or discover these basics of my faith? How did I learn to connect them with daily life? How did I learn these basics of my ethics? 3. What are my current mission fields? Briefly describe each one. 1. What has God been telling me or doing through my life in this mission field? a. What am I working on right now in this mission field? b. What has been going on that leads me to be working on that project or need? 3. What change is needed to increase love, justice, and reconciliation in this mission field? 4. What will I do to achieve this change considering my gifts, limitations, and convictions? 5. How will I draw others into working with me for this change? 6. How will I talk of God while working with others on it? 7. How will I invite others to join me in Christian fellowship so that together we may receive the Word of God and the Sacraments of the church in order to be fed and empowered?